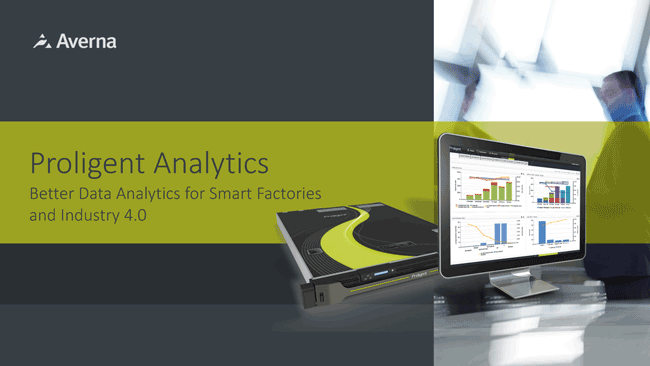 Averna’s fully automated, turnkey glue-dosing solution takes almost all variability out of Océ’s production processes. 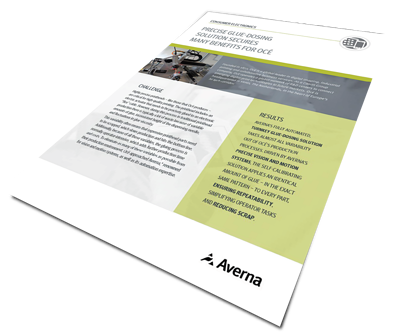 Driven by Averna’s precise vision and motion systems, the self-calibrating solution applies an identical amount of glue – in the exact same pattern – to every part, ensuring repeatability, simplifying operator tasks and reducing scrap. 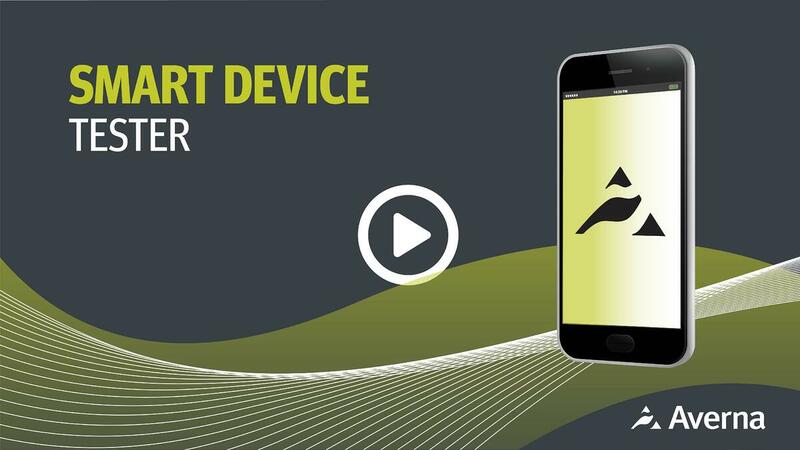 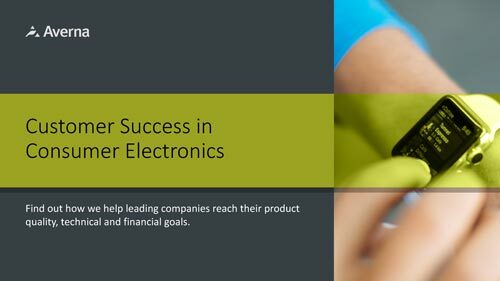 Learn how we help Consumer Electronics companies reach their product quality, technical and financial goals.